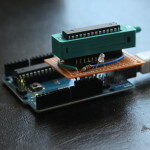 About a year ago when I first started with Arduino, I learned that projects can be taken off the arduino to stand alone on a breadboard or finished PCB. 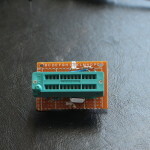 I also discovered that it was significantly cheaper and easier to buy an ATMega328 chip without a bootloader and burn the bootloader yourself instead of buying one with the bootloader preloaded. 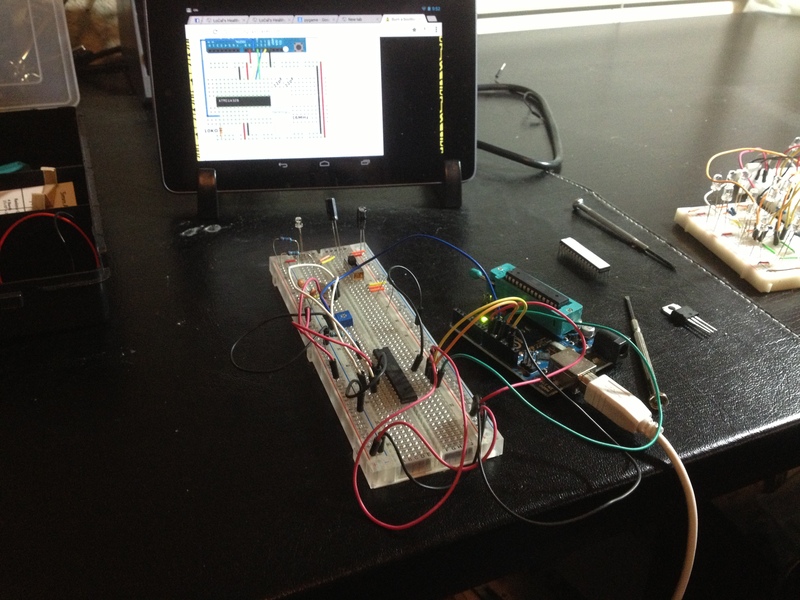 I then decided that it would be inconvenient to have to bring out a breadboard and wire everything up every time I buy a new ATMega chip. 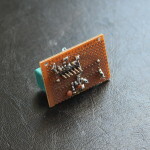 Thus, I created a "shield" of sorts that would plug directly into an Arduino. I do not have any code or schematic for this project since it was all done on-the-fly (and before I knew about github and Fritzting!). See the guide at 3guys1laser for details on how to make your own!